At Fender Marine Construction, we construct boardwalks made of wood or concrete piling, concrete or fiberglass framing, and also wood, vinyl, composite or concrete decking. We design and build boardwalks specifically to help you get the most out of your property. 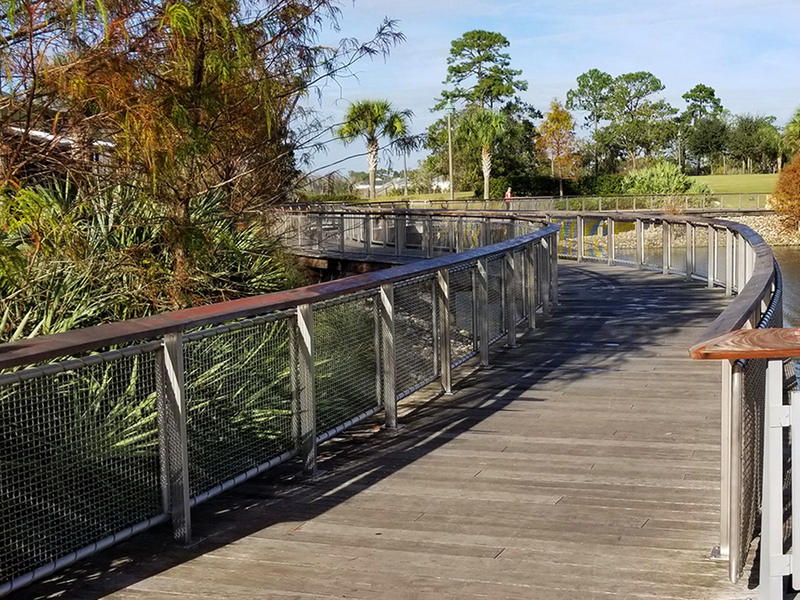 If there’s an area with incredible views that isn’t easily accessible, we can build a boardwalk near your home, business, community or marina that enhances everyone’s enjoyment of the property. Our basic boardwalk plans vary in complexity and price. We can build you a basic boardwalk with our pre-designed plans. 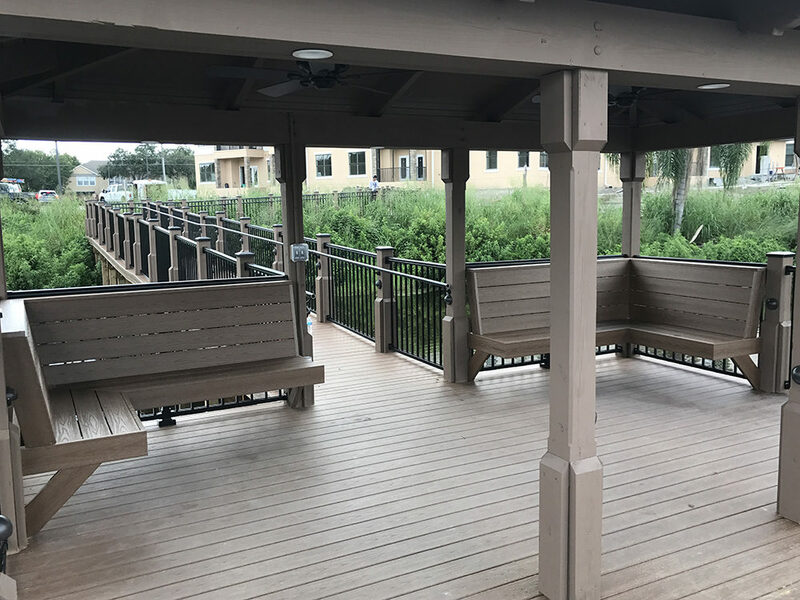 We are more than happy to show you completed boardwalk projects that used our pre-designed plans to give you a better feel for what type of plan is right for your property. 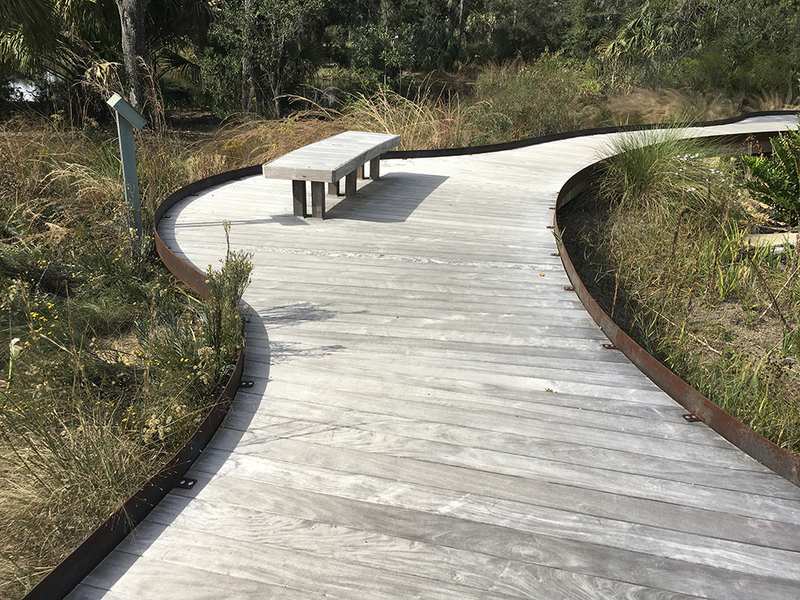 Using one of our basic boardwalk plans also speeds up the design and construction process, so you can start enjoying your new boardwalk as soon as possible. If you have something a little different in mind that one of our basic boardwalks can’t accomplish, let us know. We can build custom boardwalks that are designed and created according to your exact wishes and specifications. 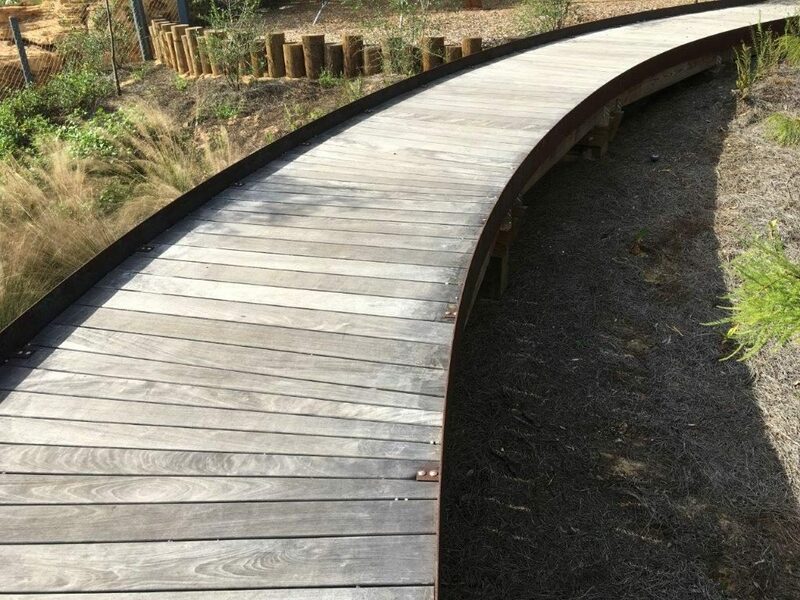 Our experts will work directly with you throughout the entire process so to ensure that the boardwalk we build on your property mirrors what you had in mind. This type of project will take a bit more time, but the results will make it all worth it. At Fender Marine Construction, we believe that there isn’t a project, no matter how large or small, that we can’t accomplish. Have you thought about building basic boardwalks on your property for years but just haven’t gotten around to it? We’re here to help. Have you ever started a project but were disappointed by how it turned out? We want to prevent this from happening. The basic boardwalks that we build are associated with several benefits. 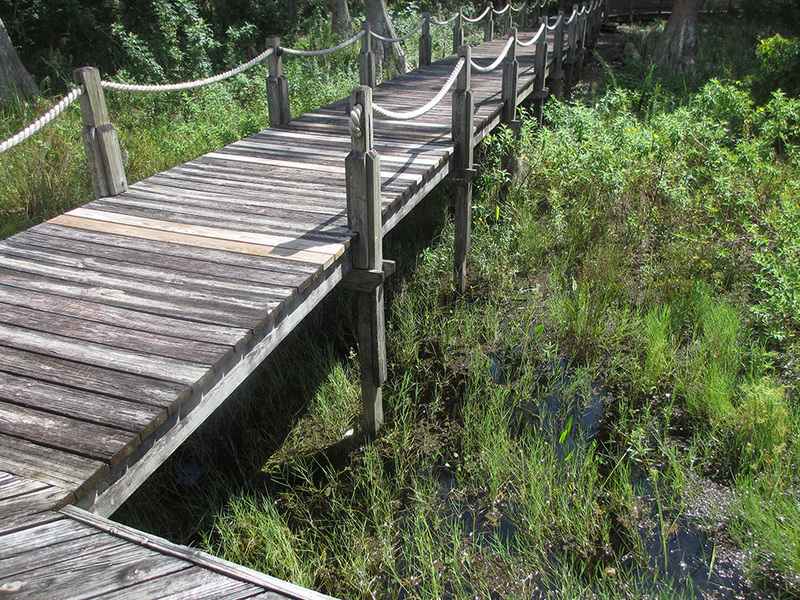 First, You can envision what your boardwalk will look like on your property before we start working. Secondly, you won’t have to worry about coming up with a design plan and manipulating it until it works for your property. This means that once you decide on one of our basic boardwalk plans, we can start building it almost immediately. Lastly, our basic boardwalks are designed to be affordable. If you’ve put off building a boardwalk on your property because of cost, we’re here to eliminate this hurdle. When you’re considering which of our boardwalks you want built on your property, we encourage you to take into account how many people will use the structure, where it will be constructed, and how large you want it to be. This will help us introduce you to design plans that will meet your needs and requirements. Don’t wait to build the boardwalk you’ve always wanted to have on your property. Instead, contact us for more information about our basic boardwalks. At Fender Marine Construction, our main goal is to help you get the most out of your Orlando, Florida property. With one of our custom boardwalks, we know that this structure will increase your ability to enjoy your property. 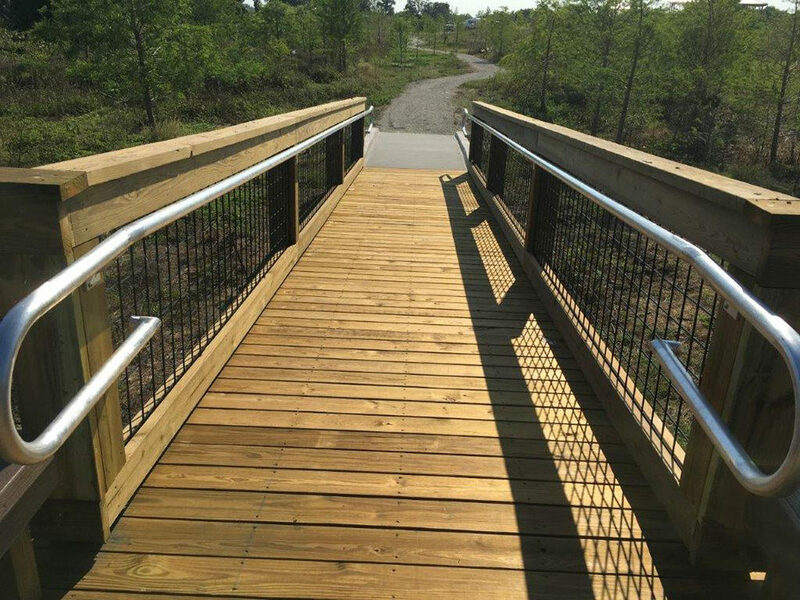 When we design and construct a boardwalk on your property, we will go above and beyond your expectations to complete the vision you have in your head. Our custom boardwalks can be created using wood, vinyl, fiberglass framing, concrete decking, and more. During the design process, we will take your specifications into account in addition to what is best for the boardwalks’ location. 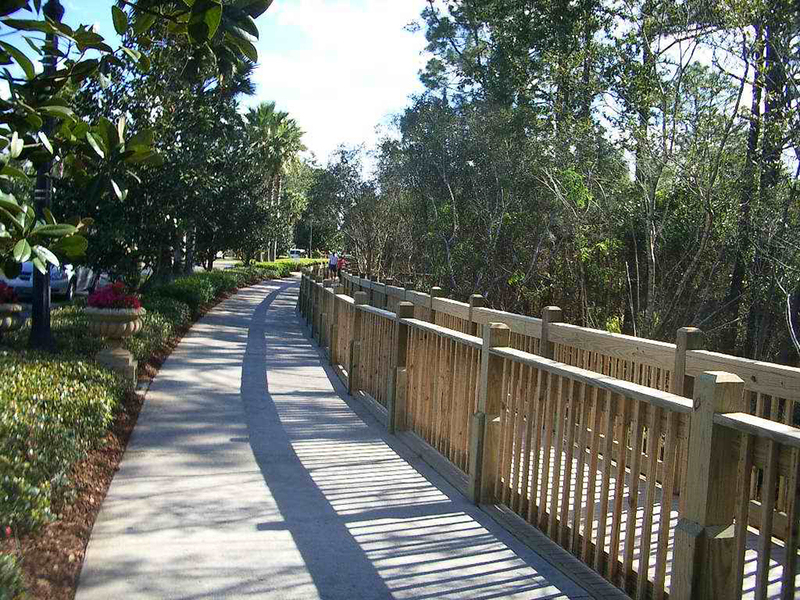 We realize that it may be difficult to visualize what your boardwalk will look like once the project is complete. We will introduce you to custom boardwalks we’ve built in the past and help you identify which features you want to include in the one we build for you. 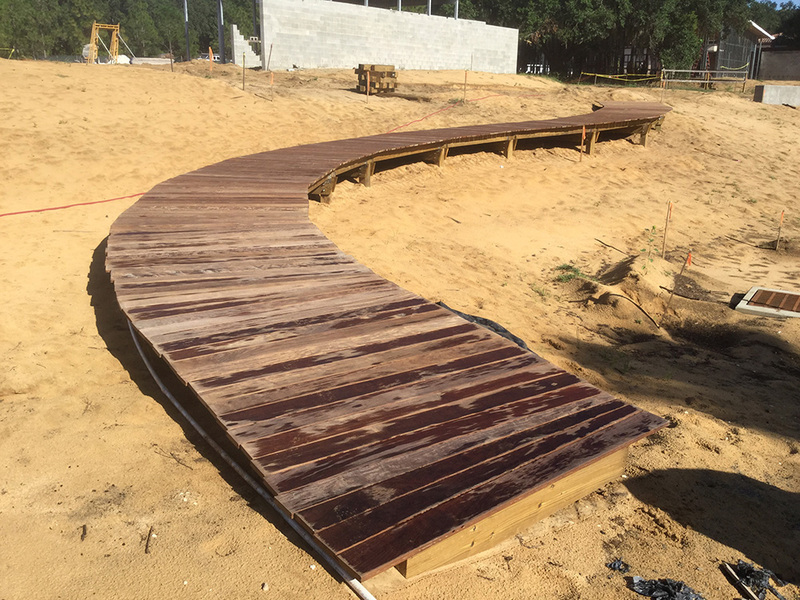 This will help you get a better feel for what the completed custom boardwalk will look like. Our custom boardwalks are built to last. During the construction process, we don’t take any shortcuts and only use the best materials and supplies available. To begin designing and building the custom boardwalk you’ve envisioned in your head, contact us today. A wooden boardwalk looks elegant and attractive, yet is much more affordable than other similar types of walkways. Pouring a cement walkway or installing a natural stone path requires a lot more manual labor, so wood is a simpler option. It also works very well in your sloped or steep backyard, and can hold up in rainy or wet areas. 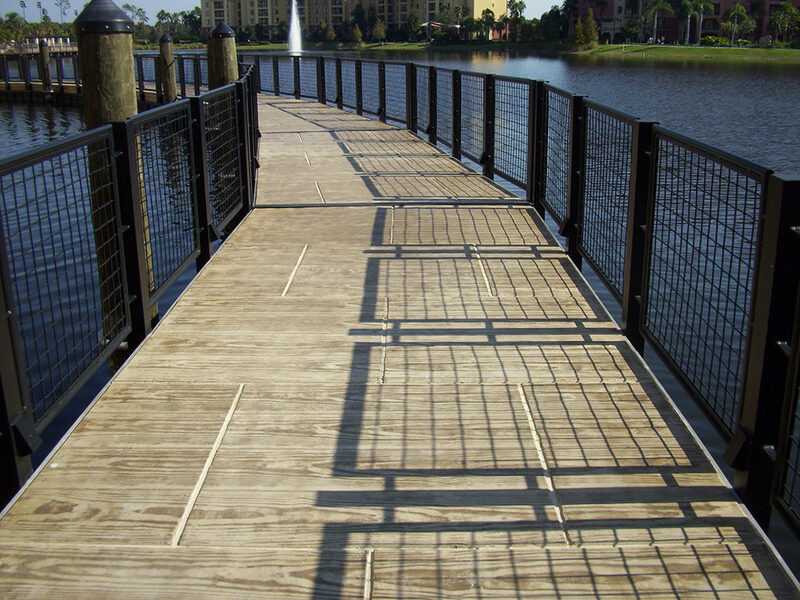 This makes a boardwalk a perfect fit for your Orlando, Florida property. If you are interested in adding one to your yard, call our expert boardwalk builders at Fender Marine Construction. A key benefit of using our boardwalk builders is that we will draw up a plan and do all of the work for you. Instead of having to cart heavy materials from the store to your home, our team of experts will create the perfect boardwalk for your space. We stand behind our work and hold your satisfaction at a very high level. We will keep you informed through every step of the process. 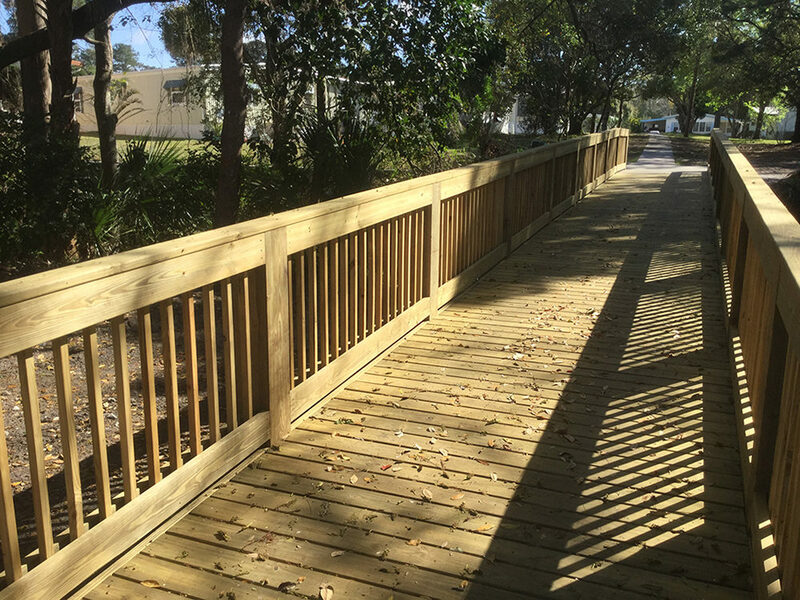 When our boardwalk builders finish your project, the result will be a sturdy and visually attractive walkway that winds through your property. We can create different widths and lengths to accommodate any needs you may have, and we will work with you to ensure your happiness with the finished product. 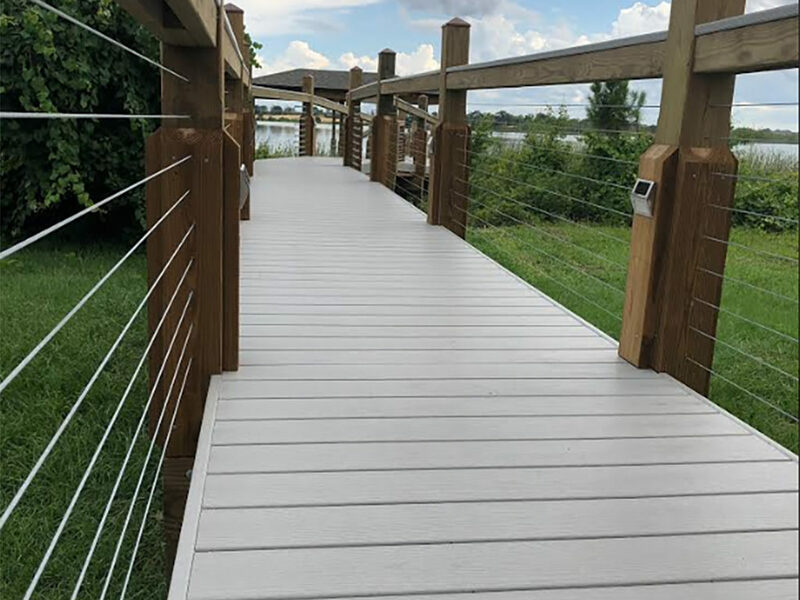 Give us a call at Fender Marine Construction to learn more about the services our boardwalk builders offer for both residential and commercial properties in the Orlando area. 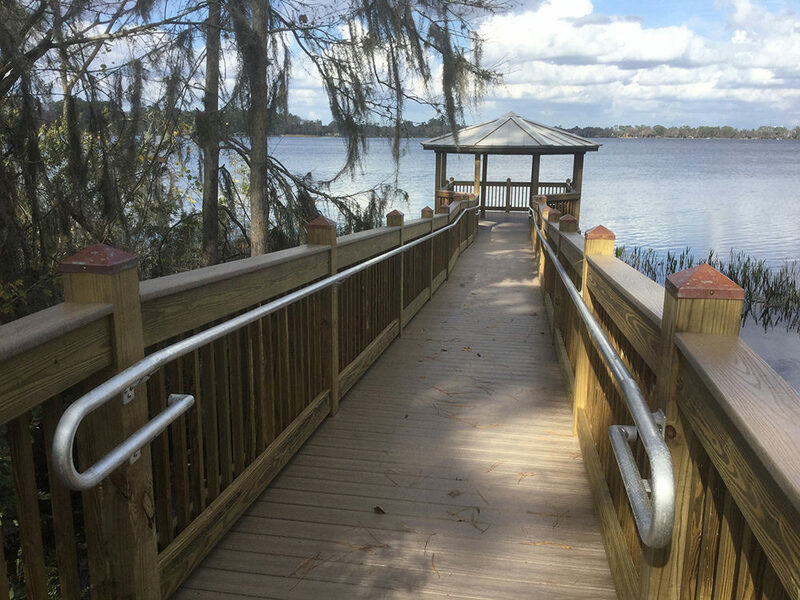 A boardwalk can allow you to benefit from breathtaking views throughout your Orlando, Florida property. Your originally built boardwalk may have started to wear down in certain places. If this has happened to you, let us at Fender Marine Construction help you out with our boardwalk repair services. Fully assess the damage and provide you with a competitive estimate. Only use high-quality materials to repair your damaged boardwalk. Work efficiently and stay within the quoted repair time we gave you. 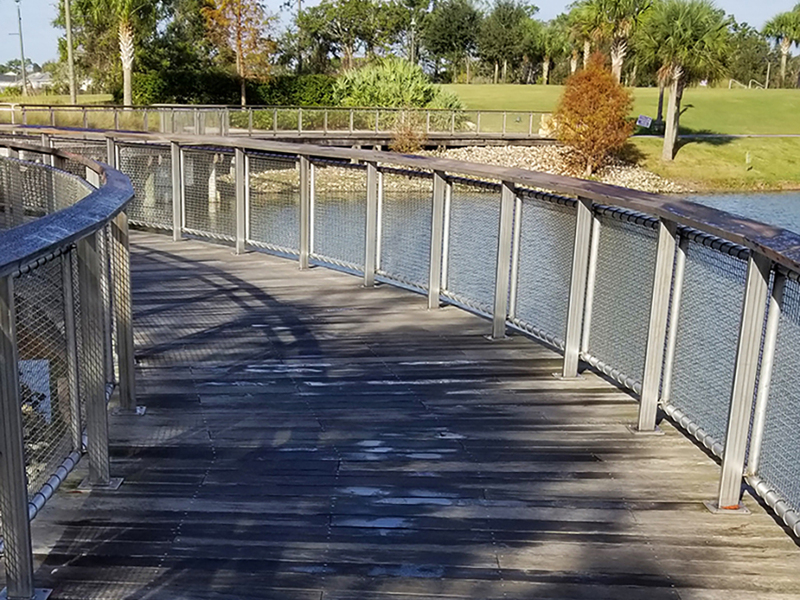 At Fender Marine Construction, we focus on creating open lines of communication when we work on a boardwalk repair project. If you have questions about the materials we are using or the timeline of your project at any time, we encourage you to ask us whatever questions you might have. 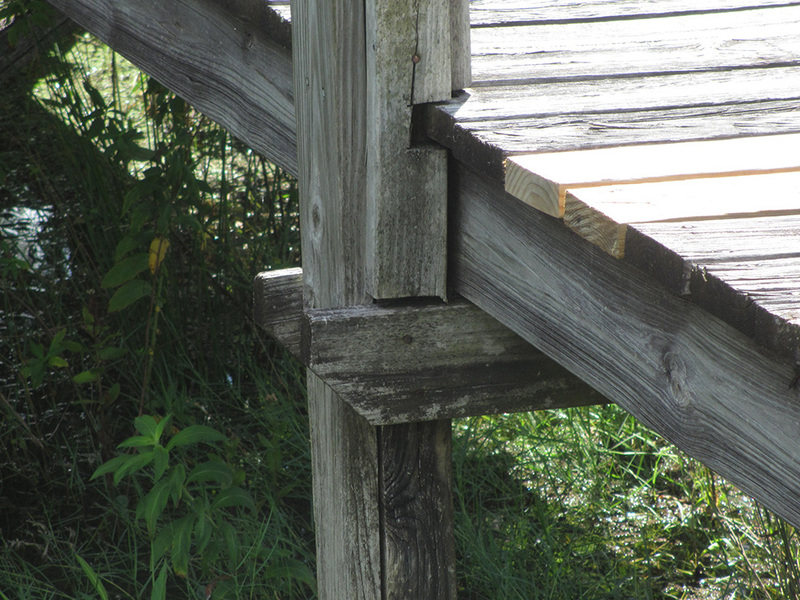 Not only will we properly repair your boardwalk, but we will also alert you to any other parts of the structure that may be at risk for deterioration and need to be repaired in the near future. 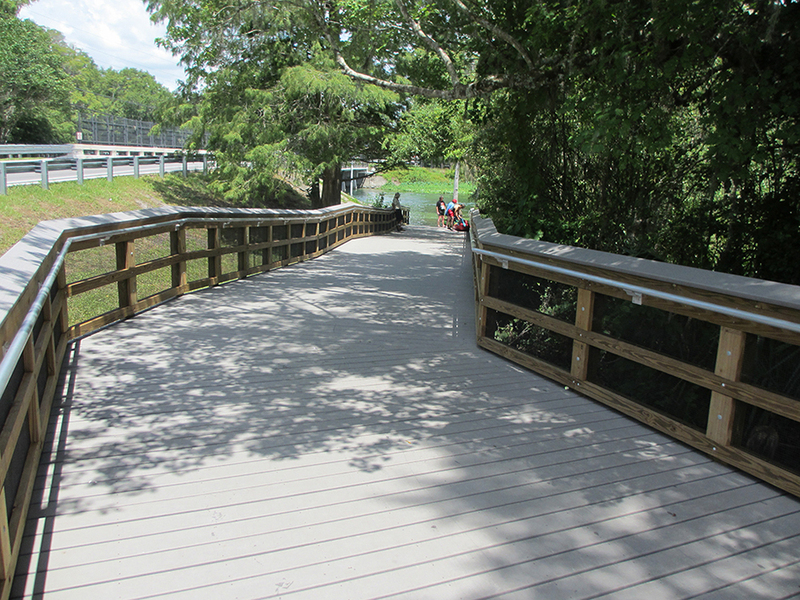 After we’ve repaired your boardwalk, we are confident you will contact us again for future projects. To find out more about our boardwalk repair services, get in touch with us at Fender Marine Construction.